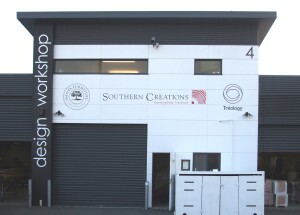 Southern Creations & Davies Furniture are based in Christchurch and craft high quality furniture from the purpose built Design Workshop in Bromley. For over 50 years we have been making beautiful wooden furniture such as coffee tables, dining tables, dining chairs, bedroom sets, bedsides, hutches, sideboards, dressers, hall tables and TV consoles. Custom furniture is one of our strengths. Our furniture is sold throughout the country and we deliver to all New Zealand locations and also offer delivery to Australia and the USA. We are proudly Canterbury based and offer the high quality furniture, support and service which imported furniture fails to deliver.